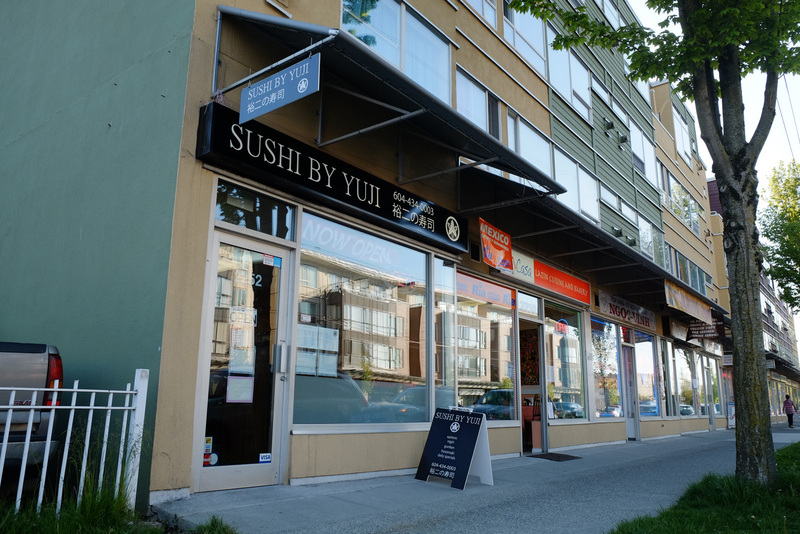 Continuing the sharing of restaurants we like here in Vancouver, today we are highlighting Jax’s favourite place for sushi! Once again, this isn’t a review; it’s an informational session! 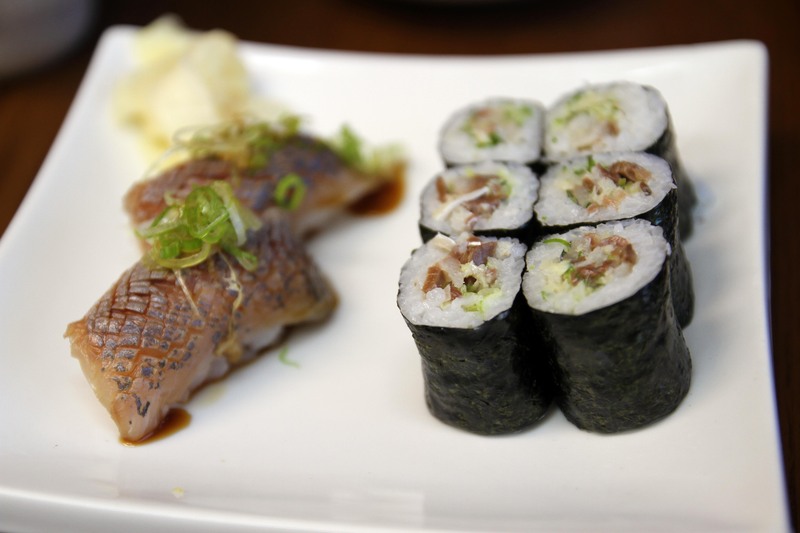 Located literally a stones throw away from Chefe Daniel, Sushi By Yuji again embodies Food We Like To Eat! One chef, and one waitress. Cooking in an open kitchen for everyone to see. Sitting at the sushi bar, it’s easy to talk with him where he can make you items on the fly. Specializing in raw fish, he doesn’t have any meat on the menu. You won’t find any chicken teriyaki here! 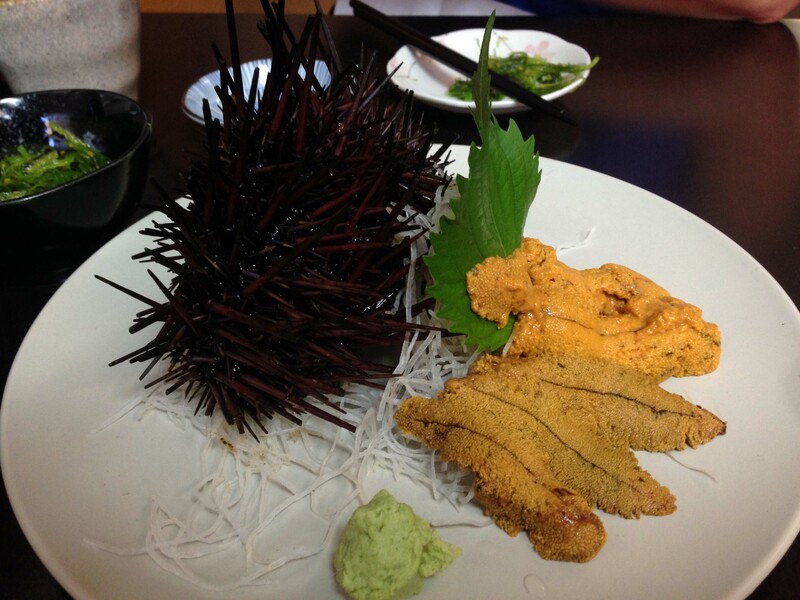 What you will get is fresh fish of the day that you may not normally see at your regular everyday sushi joint. Freshness is key to him — if it’s not fresh, he won’t serve it. Quality has always been top notch every time we go! 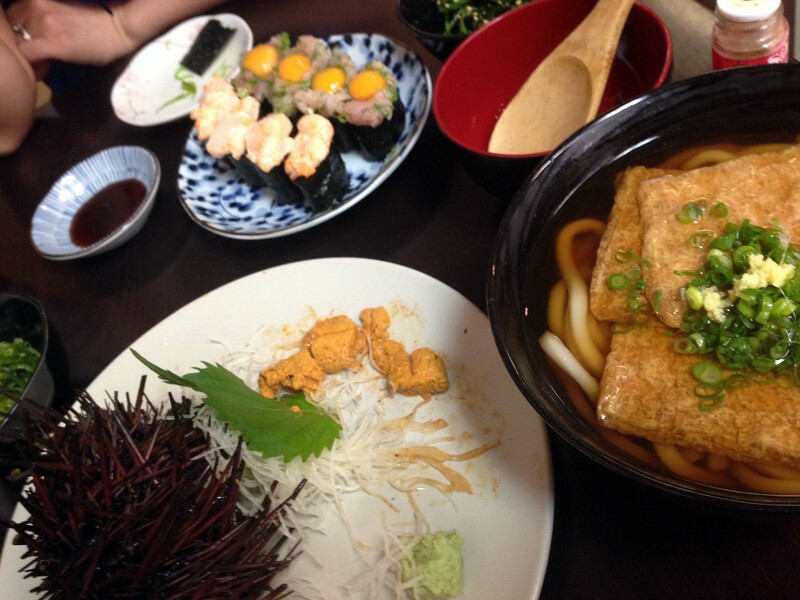 The first time we visited this place, we ordered his Omakase — we let him decide what to serve to us. This gave us a great impression on his style, and ideology! The pictures below are an example of what Yuji-dono creates. 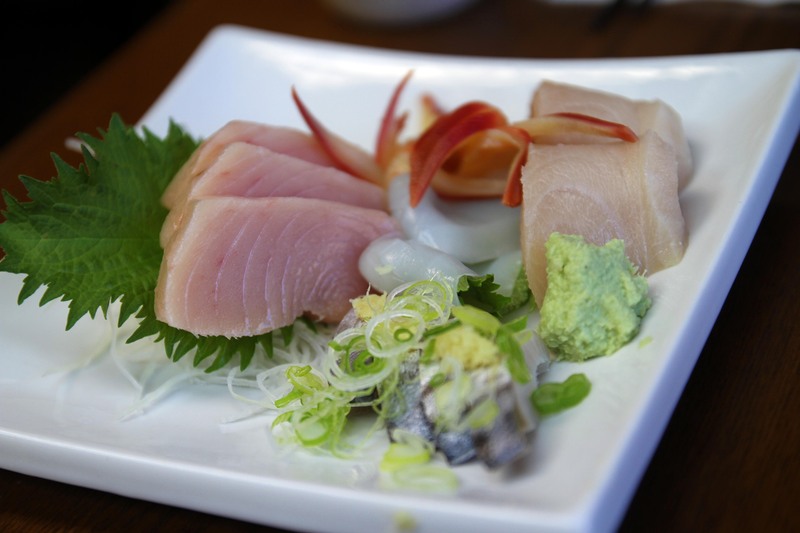 Sashimi is always fresh, and real wasabi is served. 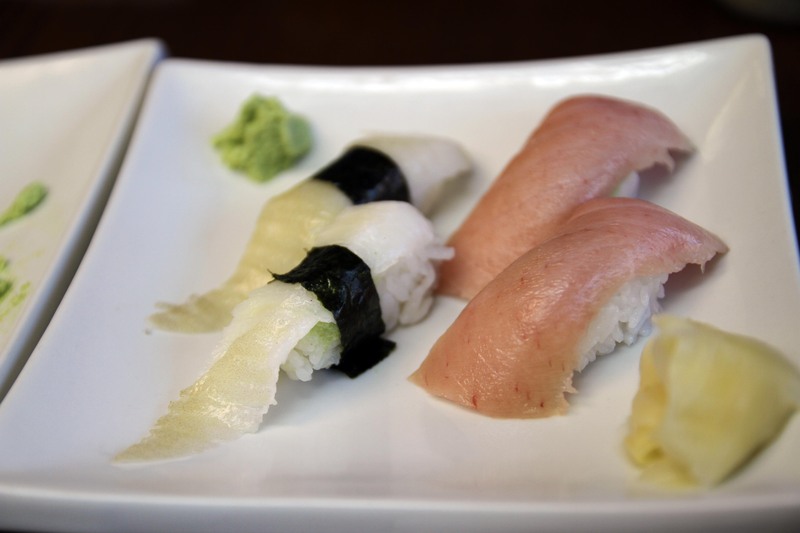 Nigiri pieces all have a small piece of wasabi in them, so be careful! Spicy Chopped Scallop is perhaps our favourite thing here! If you are not familiar with something, Yuji-dono will tell you what it is, and how to eat it. 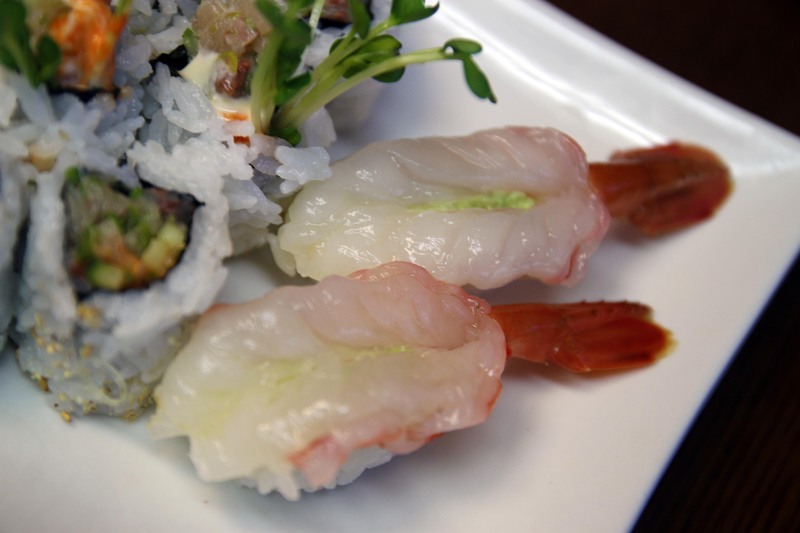 For sushi that has sauces, he’ll generally let you know you don’t need to put any wasabi nor soy sauce on it. Knife skills are always eminent in his dishes. When available, get the Fresh Uni. Don’t ever settle for the pre-packaged stuff. Protip: Ask him what he has fresh for the day, and order it! The Negitoro Gunkan with Raw Egg is my second favourite thing there! That is a regular item that is another definite must have! Once again, this isn’t a review, as this is a staple for Jax and I. 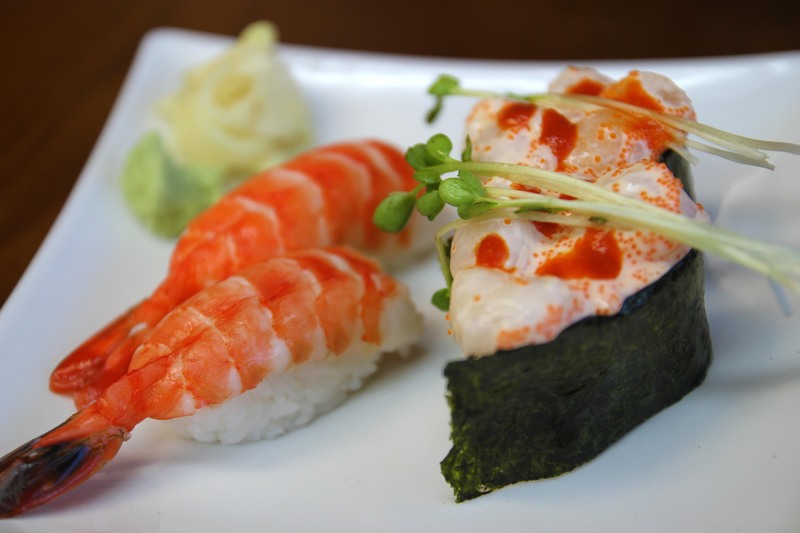 When it comes to sashimi and sushi, we don’t even consider going to any other restaurant. The only problem is that he is so popular now, that you must get reservations!